Recovery has been a sort of payment plan in becoming a better person every day. Every day is a gift! The biggest is waking up clean and not having to depend on any substance to be a productive member of society. I am so beyond grateful for my life today. So, I lost my license three years ago because of mistakes that I have made and didn’t commit to paying the court fines I owed because I was living dirty. A few months ago I started working a second job so that I can save up to get my license back. I had no idea of the new program they were offering to be able to set up a payment plan on your license, get a clearance letter so you can get your license back that day. Anyways, I started saving up the money. Then I got hit with a letter for child support and had to put my license to the side because they were originally proposing an order for over six hundred dollars. I went to court last month and my child support was dropped to $275 a month. That was a blessing in itself. So I set the goal to go get my license back. Since I’ve started thinking about it I have been very patient. I knew that everything happens in right time as long as I keep doing the next right thing. I had to go to both court houses today, and I set up a payment plan. Then it was time for the Department of Motor Vehicles. 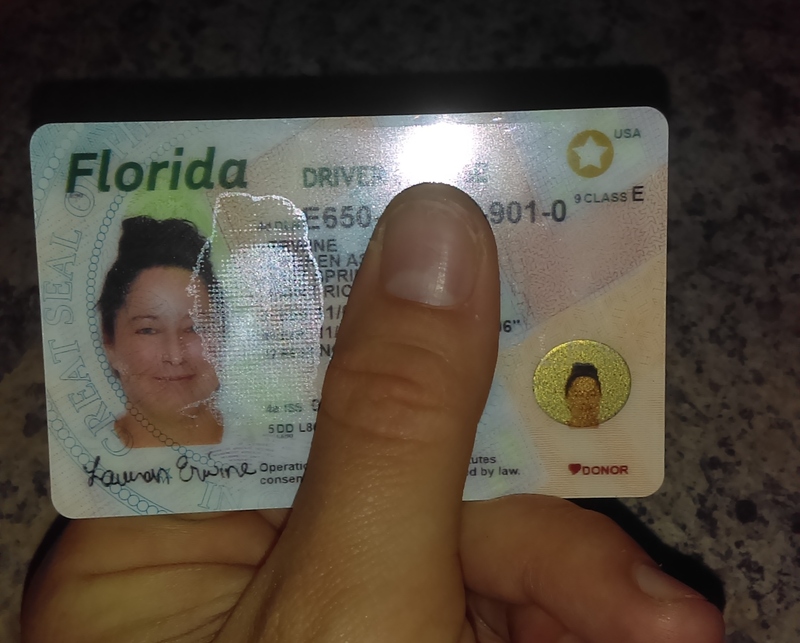 But I walked out of that DMV with an official Florida State license, which I worked so hard for. Blessings of recovery vary from even the smallest things to the big things. The amount of gratitude I carry in my heart is overbearing. I knew that the patience and hard work would pay off. And it’s all coming at the right time. You can say I’ve got a couple of different payment plans going on today; my recovery and recompense for my past mistakes. I’m proud of myself today. My name is Lauren and I’m an addict. I have been Clean eleven and a half months.